Prisoners Abroad is the only UK charity providing information, advice and support to Britons detained overseas, their family and friends, and to released prisoners trying to re-establish themselves in society. Here is the article I wrote for the latest edition of their newsletter. When I was in prison in America, Prisoners Abroad entered my short story “Amazing Grace” into the Koestler Awards. Then last summer when I was back in England, I received a phone call from their office in London congratulating me on winning a Koestler Award – the Hamish Hamilton prize for short stories. The award did much more than make my day, but I’ll get to that after I explain my situation. 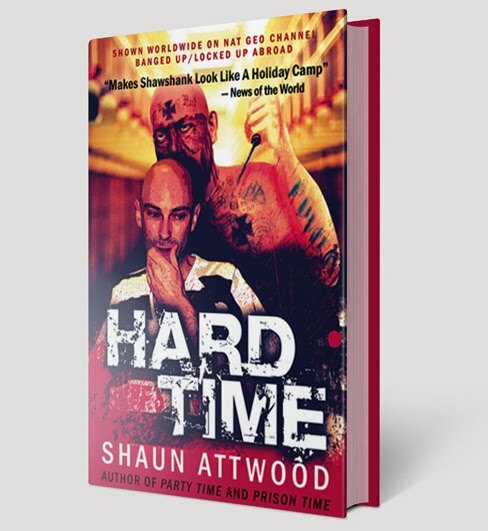 I was a stockbroker gone wild in Arizona, arrested by SWAT as part of a series of dawn raids, and sentenced to 9 ½ years for money laundering and drug offences. 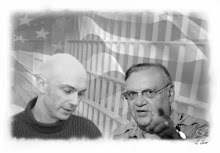 Incarcerated in America, I started Jon’s Jail Journal, a blog that exposed human-rights violations at Sheriff Joe Arpaio’s Madison Street jail, and attracted international media attention after excerpts were published in The Guardian. I emerged from prison hoping to make a career out of the writing skills I’d developed, but I didn’t have any resources or effective connections. For months, I struggled to find professional help and guidance, all to no avail. Then I won the Koestler prize, and things changed overnight. I got to read my story to an audience at the Royal Festival Hall, where I also told the people at Koestler about my need for outside help. They immediately had me apply for their mentor program. Meeting my Koestler mentor, Sally Hinchcliffe, for the first time, I knew she was the kind of no-nonsense person I like to work with. I’ve now had three mentor sessions, and thanks to her constructive feedback, the standard of my prose is coming along. She’s helping me improve my book about my time in the jail, and showing me how to approach literary agents. Thanks to the Koestler mentor program, I expect to be a published author in the next year or so. helping ex prisoners pursue their career ambitions in the arts and to become productive members of society. I deeply appreciate Prisoners Abroad introducing me to Koestler, and Koestler helping me pursue a career as a writer. Click here for the Prisoners Abroad newsletter. Click here to read about Koestler’s mentoring for released prisoners. Email comments and questions to writeinside@hotmail.com or post them below. To post a comment if you do not have a Google/Blogger account, just select anonymous for your identity. I don't have it on this computer yet. I'll try to get it on my computer later this year. pallid skin bleaching net makari oral light oral skin whitening pills make up dr. These professionals make a career of improving your sweet smile for boosting your confidence level. LED lighting, operating at high frequency, simply does not cause any of the above-mentioned problems. Social skills building needs to be a priority and children need much help in learning proper social skills and behavior.